Putting on a race? You need a course! Let us help you design a safe, accurate, and fun course for your event. We measure using the same strict USATF standards used on national and international level road races. 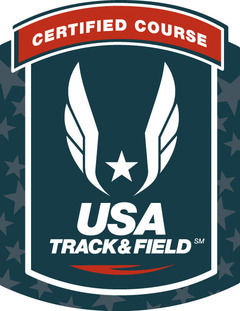 $300 - (up to 3 miles or 5K, $25/additional mile) - USATF Course Certification The purpose of the USATF course certification program is to produce road race courses of accurately measured distances. For any road running performance to be accepted as a record or be nationally ranked, it must be run on a USATF-certified course. In addition, the certification program is very important to the average road racer, as well as those of exceptional speed. Most runners like to compare performances run on different courses, and such comparisons are difficult if course distances are not reliable. No one can truly establish a personal best if the course distance is not accurate. A big addition to your event locally is being able to offer your event as a Peachtree Road Race Qualifier event. For runners to submit a seeded time for Peachtree to get a qualifying mark, the time submitted must be ran on a USATF certified course. See below for a list of the 2012 qualifying times to attain a top seed for Peachtree. A course certification is good for 10 years. See official USATF map HERE.